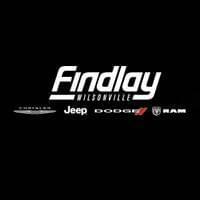 Welcome to the Findlay Wilsonville Chrysler Jeep Community events page. We complied this list of events so our customers in Wilsonville can be more aware of what’s going on in the local community. Join Carl, Terra Vina’s winemaker, as he pours recent wine releases of Petite Sirah & Mourvedre and the new Terra Vina Vineyard sparkling wines. Experience the largest holiday light show in the Northwest at the Portland Internation Raceway from November 23 – December 26. Join Wilsonville Parks and Rec for cookies, cocoa, holiday carols by local students, Storytime with the Library, crafts, and a visit from Santa as we light the community tree for the holidays!